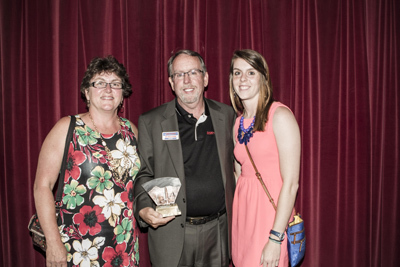 Ed Sullivan of Sign-a-rama of Asheville was selected in the category of under 16 employees. Ed and his wife Arlene started Sign-a-rama of Asheville in 2011. In just two short years, Ed has become an active member of the community. He contributes time, effort and resources to many community activities. He is a member of the Council of Independent Business Owners and Asheville Rotary as well as a Chamber ambassador. An avid musician, Ed has also volunteered and supported numerous music festivals in the region. "Ed responds to the challenges of running a successful business with innovative approaches and solutions," said Sign-a-rama sales representative Dari Mullins. "When given an unusual project, Ed throws all his creativity and managerial skills toward the task to ensure it is accomplished."